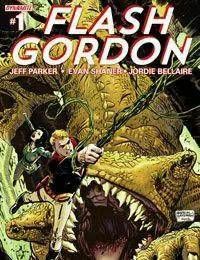 Flash Gordon never fit in on Earth. But on the bizarre planet MONGO, Flashs thirst for thrills and daring danger makes him the perfect weapon against world-breaking Ming the Merciless and his awful inter-planetary swarms of terror! Can the cocksure Man From Earth funnel his overconfidence into saving worlds, or will the universe fall to Ming?